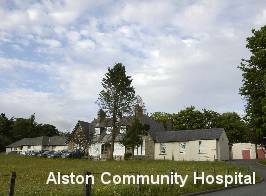 Alston Healthcare tests out new e-health services around Cumbria and Northumberland. The project is managed by the Alston based social enterprise Cybermoor. The PhysioDom HDIM project helping over 65’s stay fit and healthy by providing diet and exercise coaching through home TVs. The ACTIVEADVICE project supports the development of Assisted Living Technology across Europe. The Breathe project supported carers by giving them live information about the person they care for. Video links to aid clinicians in the diagnosis and treatment of minor injuries by linking community hospitals together and avoiding unnecessary travel. Telehealth equipment that will enable service users to have their chronic diseases monitored from their home. Other e-health devices in an innovative way to enable health and social care professionals to monitor, evaluate, assess, diagnose and treat and support people in their home and / or local community hospital. E-health to reduce the cost of providing services and enable resources to be used more effectively to improve care and to meet the needs of service uses in our community. Sharing the innovative approaches we develop across Cumbria and Northumberland. Enabling delivery of treatment and care closer to home to allow service users to stay closer to their families.